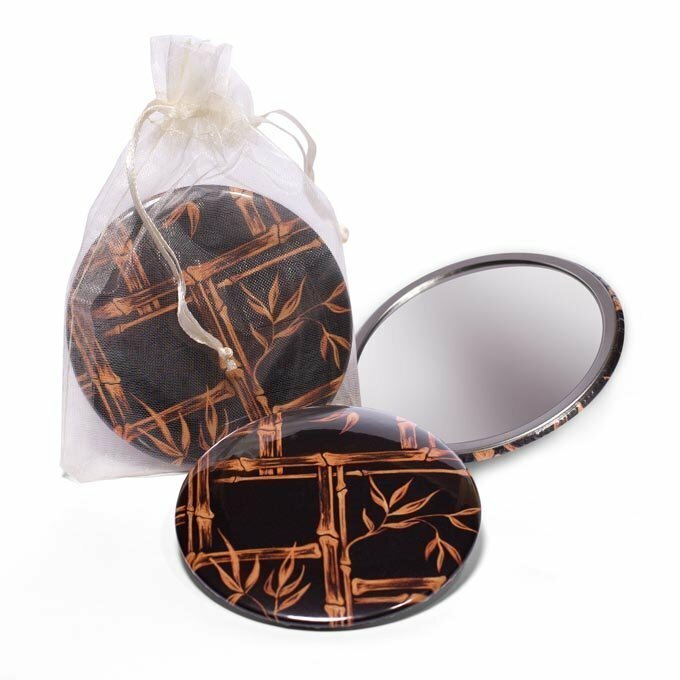 Black 1950’s Retro Design Pocket Mirror With A Tiki Bamboo 50s Design. The perfect size for slipping into your 20th Century Cloth makeup bag. 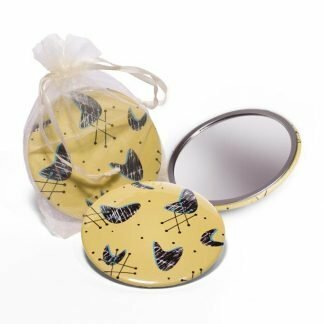 Supplied in an ivory organza drawstring bag. 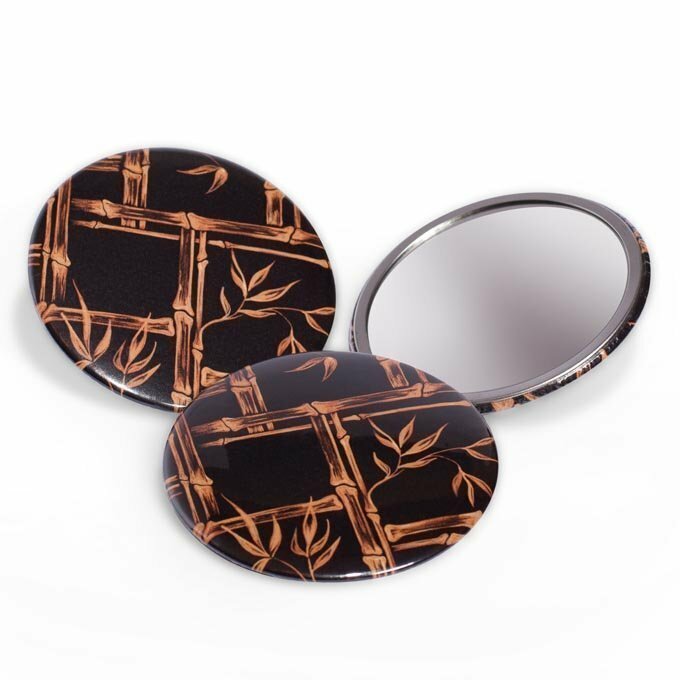 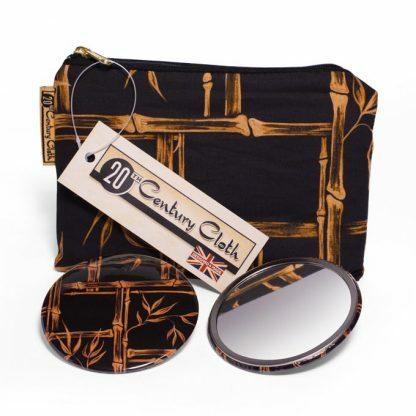 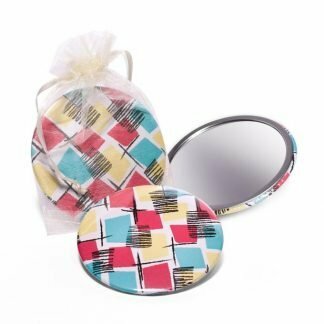 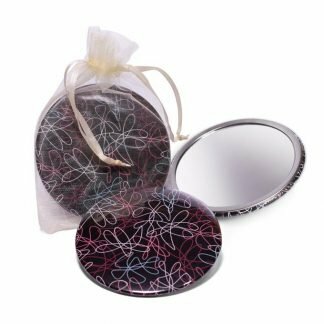 These handy mirrors make the perfect gift, especially when teamed with a matching Kona Bambusa bag.